Do you know about executive branding and your LinkedIn profile? Executive branding, also known as reputation management, is when an executive uses marketing 2.0 techniques to showcase their professional strengths as a way to attract the best career opportunities. Your professional reputation is everything. It determines your future earnings potential. You’ve effectively branded yourself in your new resume and cover letter development and professional autobiography. These documents will effectively target the job you are seeking, capture the attention of your reading audience, contain relevant keywords, showcase your unique selling point, and resonate with your audience. Today it is becoming more and more pertinent to your job search that you establish and maintain a strong online presence so that recruiters can find you when they search for executive level candidates. The number one online site for professional networking today is LinkedIn. Millions of professionals from all over the world today have profiles on the site, so you need to make a great profile just to keep in stride with all the rest of the competition. If you didn’t know, every single CEO of the Fortune 500 companies are on LinkedIn. So if you aren’t, you are missing out. Don’t simply throw together a LinkedIn profile without strategizing its impact on your audience. Your LinkedIn Profile needs to accomplish the same things your resume, cover letter, and other career documents do, while also being searchable. It needs to showcase your career success and value to companies through top-notch executive branding. Your profile is one of the most important aspects of your LinkedIn presence. It is your most powerful executive branding tool, and so it shouldn’t be neglected. Learn how to optimize your presence on LinkedIn with the right searchable words and keyword phrases. With the proper editing and setup, a lot of the content from your professionally completed resume, cover letter and autobiography can be utilized within your LinkedIn profile. You can copy and paste blocks of some of the information into different sections of your LinkedIn profile. Remember the summary section of the LinkedIn profile is not parts of your resume. When you create your profile, make sure that it has all the specific details that will include your previous and present employment, educational attainment, the professional associations you have been a part of, your company and professional websites, links to key projects, and other relevant links that can help establish your professional brand. 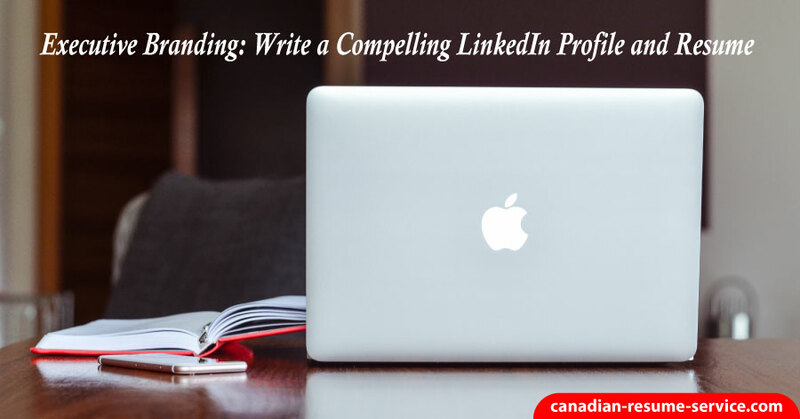 An active LinkedIn profile summary entices readers to want to know more about you and ultimately connect with you one-on-one. Creating a profile you present online needs to match the real-world you. Keep your audience in mind when writing your LinkedIn profile, make sure recruiters and others can find you. An important way to be found is to use industry-specific keywords in your profile. Don’t underestimate the power of SEO (Search Engine Optimization). Know what kinds of things potential employers or professional contacts will be searching to find a candidate like you, and be sure to include those words or phrases in your profile. This will make you more likely to turn up in searches, which will help get you and your profile noticed. Remember to break up dense chunks of information into shorter, brand-focused statements. They should be surrounded by plenty of white space to make them stand out. You want your profile to be easily readable so that employers will continue to read your information and not get bored or overwhelmed by the amount of text. Your summary needs to highlight your story – your strengths, passions, career highlights and breadth and depth of experience in various professional capacities or domains. The character restriction is 2000. To catch the reader’s attention, pen it in the first person. You could also mention in a couple of sentences, how/why you chose to become an executive or made a transition to your field. However, make sure it is not too lengthy – ideally, limit it to about 3-5 short paragraphs. Note: Don’t forget to include your short-term and/or long-term goals in this section. If a prospective employer is unable to figure out what you want to do next, there is every chance you might get passed on. To increase your visibility on the LinkedIn network, you will want to include relevant keywords throughout your profile and job descriptions. Including the kind of words that you anticipate other people will search for is an excellent way to improve your search engine optimization (SEO), which will drive potential new contacts to your profile. You may not fully understand SEO concepts, but remember adding more content to each area of your profile that is relevant to your heading and to the type of position you are seeking will be adding SEO to your profile. Think about what your readers would be typing in to find you, and include that language to help them make the connection. Your professional headline or tagline is incredibly important to executive branding and making you stand out. Fill it with keywords that your target audience will be looking for. You are allowed 120 characters, so use them. Your headline goes with you everywhere on LinkedIn, giving viewers a brief snapshot of your profile, so make sure that it packs a punch. Customize your LinkedIn URL. LinkedIn provides a default URL, which contains a string of characters and numbers. Personalize your profile URL by going to ‘Edit Public Profile URL’ under Settings. By personalizing it with your name, you will show up better in searches and it will be more marketable as part of your executive branding strategy. You may not want everybody to see your picture on the internet, but the truth is that your photo can help make your profile look more authentic and professional. Make sure that your photo is about 200 x 200 pixels so that it is clear and looks sharp. In a professional LinkedIn profile picture, your face will take up about 60% of the image, your facial expression is vital – make it warm, friendly and professional to show that you are capable, confident, and approachable. Wear what you would wear to work and have a background that doesn’t distract from your face. The background should be as plain as possible. For an executive like yourself, a professional suit works best for both men and women. Solid colors also work better in a picture. Remember that your LinkedIn profile photo is the reader’s first introduction to you. Make sure that you are the professional they would like to get to know. The recommendation section is a very powerful selling tool. Nothing speaks louder than when others vouch for you. Try to get recommendations from each job you’ve held, to help show your unique value proposition better. Recommendations will increase your credibility and establish your professionalism in your chosen career. It is paramount to executive branding. You can give recommendations to your colleagues and connections where appropriate. One way to quickly enhance your profile is by pairing up with a close colleague to write recommendations for each other. Be sure to write powerful testimonials for one another that would encourage a potential hiring manager to consider your candidacy. Both of you will have enhanced profiles with useful information about the value that you can bring to organizations as a result. In the additional information section of your profile, include select information from your career autobiography. This is also a great place to list awards and honors that you’ve earned. List your professional associations and affiliations, making sure to include any contributions you’ve made. When people search for these organizations your name will again show up. Once you’ve completed your LinkedIn Profile, make it even more appealing by utilizing LinkedIn’s special applications. These include slide share presentations, Google presentations, and blog link. There are a lot of ways to explore the possibilities of what LinkedIn can offer to make your job search more productive and convenient. Through learning the important aspects of this website, you can increase your online visibility and be on your way to getting hired. Creating a compelling profile will help to start building your online professional network immediately. Your goal should be to show your best qualities and your professional story in a passionate manner that will be interesting for your audience. You want to entice recruiters or decision makers to stop and read. Do you want some extra help making sure that your LinkedIn profile stands out for all the right reasons? Learn more about our LinkedIn profile writing service. How do you use LinkedIn to get noticed? Comment and share below! If you need more help, reach out to Candace for assistance!